allowing our clients to achieve maximum levels of function in sports, and everyday lifestyle. We aim to get you back to doing the things you love to do. 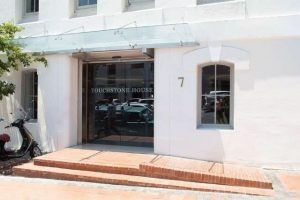 Trish Lang is a qualified Physiotherapist based in Cape Town practising skilled evaluation and effective treatment techniques for human movement disorders; from relieving persistent neck and jaw disorders, and chronic headaches, to any other disorder of the spine, upper or lower body. Trish Lang has a special interest in treating jaw problems and holds a Masters in Physiotherapy by dissertation in this area. Trish is a member of the Orthopaedic-Manipulative Physiotherapy Group. Trish is fluent in English, Afrikaans and French, and speaks a little Xhosa. 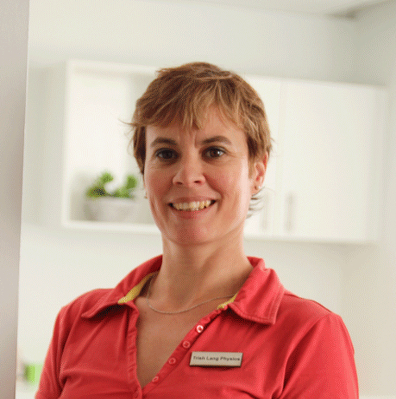 Trish Lang Physiotherapists offer evidence-based management to our clients, and referring medical practitioners. PAIN, STIFFNESS, WEAKNESS OR FATIGUE? Preventative holistic approach to health and wellness. Treatment and management of acute and chronic pain and discomfort using techniques of taping, dry needling, mobilisation and manipulation, as well as electrotherapy. Improvement of strength and fitness levels. Restoration of joint mobility and function. Restoration of soft tissue and muscle mobility and function. Return to sports and social participation. Ergonomic Advice - we can advise you on safe, comfortable and productive workspaces. 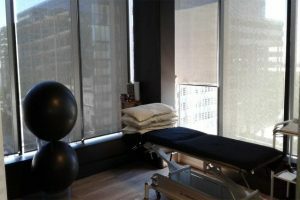 Trish Lang Physiotherapists operate from a modern, stylishly decorated treatment area in the beautiful city centre of Cape Town. Our premises is wheel-chair friendly. We aim to treat all our clients with the highest level of care. A full body assessment is done to tailor-make treatments for our clients. or for one-on-one Pilates classes. OUR PHYSIOTHERAPY SESSIONS ARE 45 MINUTES LONG. MAKE A BOOKING FOR YOUR PERSONAL ASSESSMENT SO WE CAN HELP YOU GAIN OPTIMISED BODY MOVEMENT. Pilates is a fun way to improve one's flexibility, tone, fitness and co-ordination. We offer one-on-one 45 minute classes for beginners and intermediates during office hours, on an appointment basis. Our individual classes can be used as an introduction to future larger classes at your local gym. Sports activities and exercise help with stress relief and keep you fit and healthy. It is best to see an experienced physiotherapist when any sports injury makes you fearful to participate in sports, or limits you from achieving your personal best. At Trish Lang Physiotherapists we provide sports injury assessments and rehabilitation treatment. 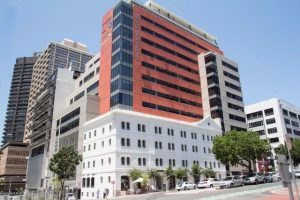 There is convenient public parking nearby in the Col'Cacchio parking at the bottom of Bree Street near the Investec building.